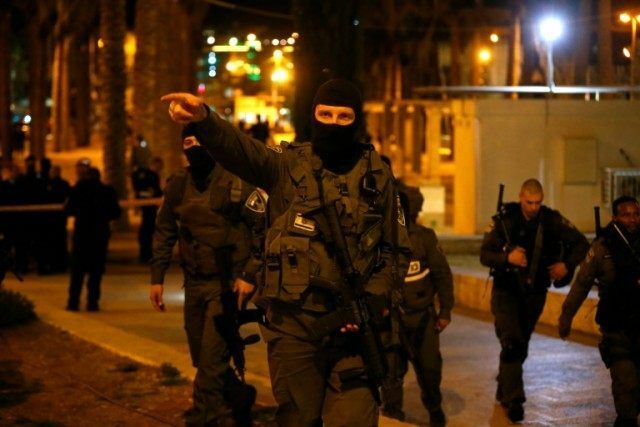 The Times of Israel reports: Israeli security forces arrested 11 wanted Palestinians in the West Bank overnight Thursday-Friday, for suspected terrorist activity and violence. Police and Border Police officers and IDF troops carried out the raids, and took the suspects for investigation, Channel 2 reported. The arrests come a day after Prime Minister Benjamin Netanyahu warned that “extremist elements” were attempting to sow unrest in Jerusalem and other areas in efforts to renew violence between Israelis and Palestinians ahead of the Passover holiday, which starts next week. The prime minister said security forces would increase their readiness to counter these attempts amid a wave of terror attacks that began more than six months ago and has lately been ebbing.